Leading Exporter of multi colored sari silk yarns for yarn stores, knitters,, throwster silk yarn for yarn stores, art and craft stores, multicolored sari silk yarn for knitters, weavers, multi colored banana silk yarn, multicolored sari silk yarns in assorted colors and multicolored sari silk yarns for yarn and fiber stores from Mumbai. We manfacture a large range of Throwster Silk Yarns. 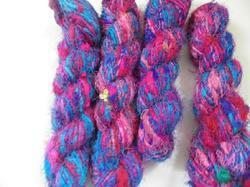 Our most popular product is the multicolored Sari Silk Yarn. We Manufacture a large range of Custom Colored Sari Silk Yarns Multicolored Sari Silk Yarn available In a wide range of shades. Violet Color Sari Silk Yarn ideal for Hand Knitting can be custom made in your choice of colors. We manufacture a large range of Single Colored Sari Silk yarns. Red Sari Silk Yarn available in Skeins and in Ball Styles. Turquoise Blue Sari Silk Yarns also available in many more Plain Colors. 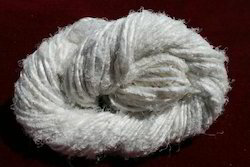 Plain Colored Sari Silk Yarns, available in a large range of Assorted Colors. 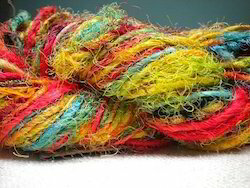 Multicolored Sari Silk Yarns. 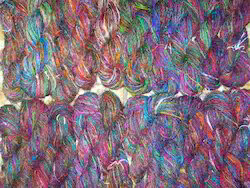 Sari Silk Yarns in Skeins of Various Sizes. Sari Silk Yarns available in Balls of Various Grammages. 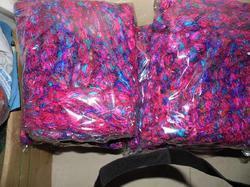 We are also supplying Sari Silk Yarns in Plain Colors. We manufacture a large range of Sari Silk Yarns. Sari Silk Yarns are available in a large assortment of colors, patterns and textures. Sari Silk Yarns Sari Silk Yarns are available in Balls and Skeins.Sari Silk Yarns are available in Multicolored and Plain Colored Options. We can manufacture the Skeins and Balls as per your weight requirements. we manufacture large range of multicolored sari silk yarns in assorted colors. 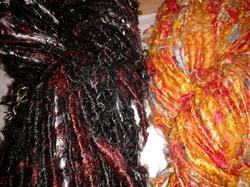 We manufacture a large range of custom made sari silk yarns in multicolors for yarn and fiber stores. Width 44-45", 58-60", 108", 35-36", 72"
we do manufacture a large range of custom made blank silk scarves in cotton and linen that can be custom made as per your choice of colors. We manufacture a large range of Sari Silk Yarns. Sari Silk Yarns are available in a large assortment of colors, patterns and textures. Sari Silk Yarns Sari Silk Yarns are available in Balls and Skeins.Sari Silk Yarns are available in Multicolored and Plain Colored Options. 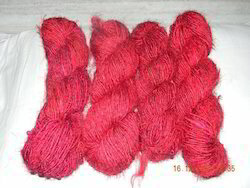 We can manufacture the Skeins and Balls as per your weight requirements,. We are also supplying sari silk yarns in plain colors. We manufacture a large range of sari silk yarns. Sari silk yarns are available in a large assortment of colors, patterns and textures. 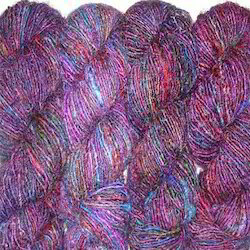 Sari silk yarns sari silk yarns are available in balls and skeins. 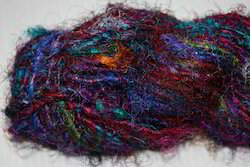 Sari silk yarns are available in multicolored and plain colored options. 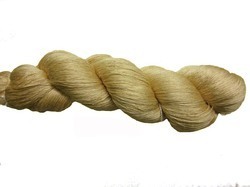 We can manufacture the skeins and balls as per your weight requirements,. Sari silk ribbons available in a large range of plain colors. Our sari silk ribbons are available in balls, skeins and strings. 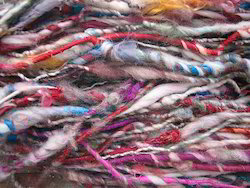 We are manufacturing and supplying sari silk ribbon yarns sari silk ribbons are obtained from the waste fabric edges that arise during the sari fabric manufacturing. 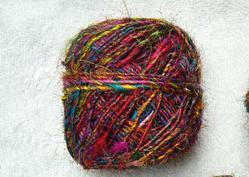 We are supplying sari silk ribbon yarns in balls and skeins. Sari silk ribbons are available in multicolored and plain colored balls. Multicolored Sari Silk Yarns. 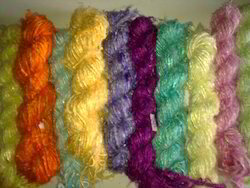 Sari Silk Yarns in Skeins of Various Sizes. 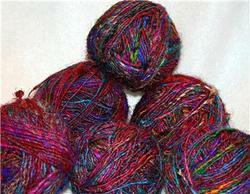 Sari Silk Yarns available in Balls of Various Grammages. We are also supplying Sari Silk Yarns in Plain Colors. We manufacture a large range of Sari Silk Yarns. Sari Silk Yarns are available in a large assortment of colors, patterns and textures. Sari Silk Yarns Sari Silk Yarns are available in Balls and Skeins.Sari Silk Yarns are available in Multicolored and Plain Colored Options. We can manufacture the Skeins and Balls as per your weight requirements,. Multicolored Sari Silk Yarns. Sari Silk Yarns in Skeins of Various Sizes. Sari Silk Yarns available in Balls of Various Grammages. 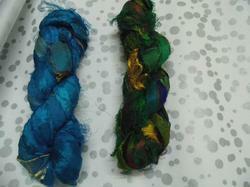 We are also supplying Sari Silk Yarns in Plain Colors. We manufacture a large range of Sari Silk Yarns. Sari Silk Yarns are available in a large assortment of colors, patterns and textures. Sari Silk Yarns Sari Silk Yarns are available in Balls and Skeins.Sari Silk Yarns are available in Multicolored and Plain Colored Options. We can manufacture the Skeins and Balls as per your weight requirements. 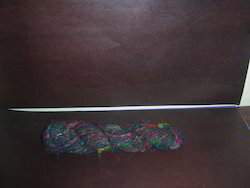 Sari Silk Yarn in Plain Colors suitable for Hand Knitting. Plain Colored Sari Silk Yarns, available in a large range of Assorted Colors. Multicolored Sari Silk Yarns. Sari Silk Yarns in Skeins of Various Sizes. Sari Silk Yarns available in Balls of Various Grammages. We are also supplying Sari Silk Yarns in Plain Colors. 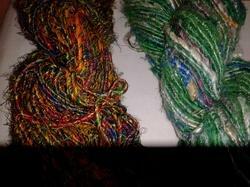 We manufacture a large range of Sari Silk Yarns. Sari Silk Yarns are available in a large assortment of colors, patterns and textures. Sari Silk Yarns Sari Silk Yarns are available in Balls and Skeins.Sari Silk Yarns are available in Multicolored and Plain Colored Options. We can manufacture the Skeins and Balls as per your weight requirements,. Luxuriously Soft Single Colored Sari Silk Ribbons ideal for jewelry designers available in hanks Sari Silk Ribbons in Plain Colors, We have a large assortment of Colors to Choose From Multicolored Sari Silk Ribbons in Skeins, ideal for Hand Knitting. Open Sari Silk Ribbons, that have not been made into Skeins, ideal for Jewelry Designers. 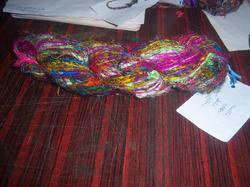 Single Colored Sari Silk Ribbon Yarns available for Jewelry Makers. Multi Colored Sari Silk Ribbon Yarns, available in 100 Gram Skeins Plain Yellow Colored Sari Silk Ribbons. Multi Colored Sari Silk Ribbons. Sari Silk Ribbons available in a large range of Plain Colors. Our Sari Silk Ribbons are available in Balls, Skeins and Strings. 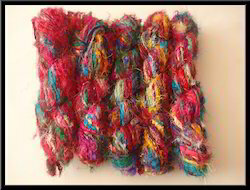 We are manufacturing and supplying Sari Silk Ribbon Yarns Sari Silk Ribbons are obtained from the Waste Fabric Edges that arise during the Sari Fabric Manufacturing. 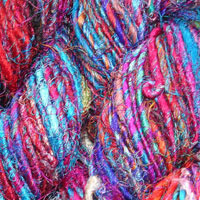 We are supplying Sari Silk Ribbon Yarns in Balls and Skeins. Sari Silk Ribbons are available in Multicolored and Plain Colored Balls. We manufacture a large range of Single Colored Sari Silk yarns. Red Sari Silk Yarn available in Skeins and in Ball Styles. Turquoise Blue Sari Silk Yarns also available in many more Plain Colors. Plain Colored Sari Silk Yarns, available in a large range of Assorted Colors. Multicolored Sari Silk Yarns. Sari Silk Yarns in Skeins of Various Sizes. Sari Silk Yarns available in Balls of Various Grammages. We are also supplying Sari Silk Yarns in Plain Colors. We manufacture a large range of Sari Silk Yarns. Sari Silk Yarns are available in a large assortment of colors, patterns and textures. Sari Silk Yarns Sari Silk Yarns are available in Balls and Skeins.Sari Silk Yarns are available in Multicolored and Plain Colored Options. We can manufacture the Skeins and Balls as per your weight requirements,. We manufacture a large range of Sari Silk Yarns. Sari Silk Yarns in Skeins of Various Sizes. Sari Silk Yarns available in Balls of Various Grammages. We are also supplying Sari Silk Yarns in Plain Colors. We manufacture a large range of Sari Silk Yarns. Sari Silk Yarns are available in a large assortment of colors, patterns and textures. Sari Silk Yarns Sari Silk Yarns are available in Balls and Skeins.Sari Silk Yarns are available in Multicolored and Plain Colored Options. We can manufacture the Skeins and Balls as per your weight requirements,. Solid colored sari silk yarns,can be available in custom colors. 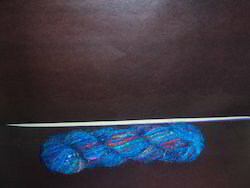 Multicolored Sari Silk Yarn available in Skeins of 100 Grams . 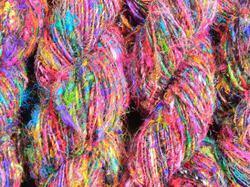 Our most popular product is the multicolored Sari Silk Yarn. We Manufacture a large range of Custom Colored Sari Silk Yarns Multicolored Sari Silk Yarn available In a wide range of shades. 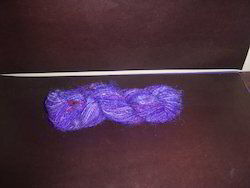 Violet Color Sari Silk Yarn ideal for Hand Knitting can be custom made in your choice of colors. We manufacture a large range of Single Colored Sari Silk yarns. Red Sari Silk Yarn available in Skeins and in Ball Styles. Turquoise Blue Sari Silk Yarns also available in many more Plain Colors. Plain Colored Sari Silk Yarns, available in a large range of Assorted Colors. Multicolored Sari Silk Yarns. Sari Silk Yarns in Skeins of Various Sizes. Sari Silk Yarns available in Balls of Various Grammages. We are also supplying Sari Silk Yarns in Plain Colors. We manufacture a large range of Sari Silk Yarns. Sari Silk Yarns are available in a large assortment of colors, patterns and textures. Sari Silk Yarns Sari Silk Yarns are available in Balls and Skeins.Sari Silk Yarns are available in Multicolored and Plain Colored Options. We can manufacture the Skeins and Balls as per your weight re quirements,. 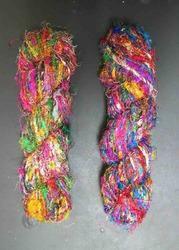 Looking for Sari Silk Yarn ?